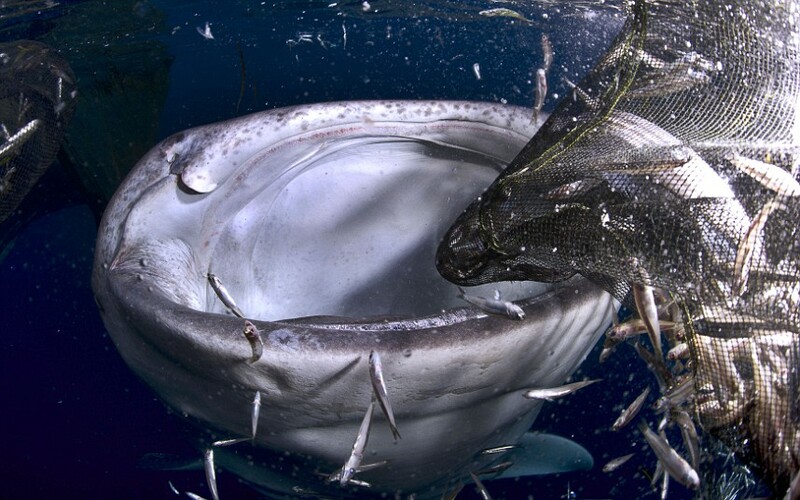 Photographer Michael Aw snapped this image picture in Cenderawasih Bay in Indonesia of a very cheeky whale shark snacking on the food he found in some poor fisherman's nets. That mouth looks humongous! Clearly stealing a fisherman's catch is an acceptable practice when you're one of the biggest fish in the ocean!